Female and female-identified writers share their ideas about what A World Without Men would look like, including the good, the bad, and the likely unforeseen. We live in a world that, daily, tells women we are not good enough. Worse, that we never WILL be good enough, because we are not men. It’s not that we are simply different, whether biologically or emotionally. We are second-class simply because. Black Heart invites readers to envision a world where women are NOT second-class, simply because. So, whether this means that all men simply vanish tomorrow, they are somehow mysteriously killed off, they’re abducted by man-hungry space aliens, or we ladies are magically transported to a Themyscira-like island bubble, stories in this issue will ponder what that world would be like. Who would women be without men? What would we do? How would we learn, lead, struggle? What would our values be like? Would automatic Matriarchy be any better/worse/different than automatic Patriarchy? Let's explore this mythical terrain together. 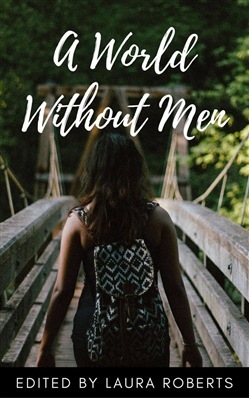 Acquista A World Without Men in Epub: dopo aver letto l’ebook A World Without Men di Black Heart Magazine ti invitiamo a lasciarci una Recensione qui sotto: sarà utile agli utenti che non abbiano ancora letto questo libro e che vogliano avere delle opinioni altrui. L’opinione su di un libro è molto soggettiva e per questo leggere eventuali recensioni negative non ci dovrà frenare dall’acquisto, anzi dovrà spingerci ad acquistare il libro in fretta per poter dire la nostra ed eventualmente smentire quanto commentato da altri, contribuendo ad arricchire più possibile i commenti e dare sempre più spunti di confronto al pubblico online.